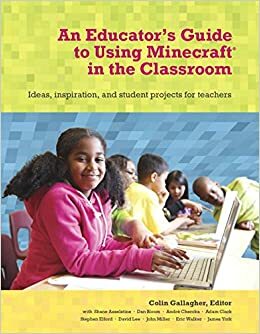 I was delighted to be able to schedule a Minechat with most of the authors involved with our “Minecraft in the Classroom” book. Special mention to David Lee, James York, and Dan Bloom who couldn’t make it. Thanks to Stephen, Adam, Eric, Shane, and John. Don’t forget you can get 35% off the Minecraft in the Classroom book by using the code MINECLASS on the Peachpit Website. I also have a code for a free digital copy of the book if you tweet out the book and website link! Winner will be chosen at random.